South Korean refiners and petrochemical companies are struggling to diversify imports of ultralight crude following the US reimposition of sanctions on Iran over its nuclear program, industry sources said Thursday. Washington on Monday reinstated all Iranian sanctions removed under the 2016 nuclear deal but allowed South Korea and seven other countries to continue to buy Iranian oil over the next six months. But the US move has left them in trouble over how to diversify import sources of condensate, from which naphtha, a key raw material for petrochemicals, is derived. "The domestic industry is trying to diversify import sources, but there is no clear alternative as Iranian condensate is the best in terms of price and supply," an industry source said on condition of anonymity. According to the Korea Petroleum Association, South Korean refiners' imports of condensate from the Middle East nation came to nil in September, a sharp departure from months earlier. 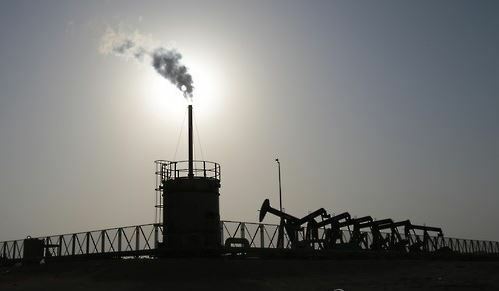 Iranian condensate accounted for as high as 59 percent of South Korea's imports of the oil in April before dropping to the 30 percent range between May and August. "With rising uncertainty over imports from Iran, Qatari condensate has been in high demand from local oil and petrochemical companies, sparking concerns over a possible price hike," the source said. On top of Iran and Qatar, South Korean firms import condensate from other countries including Nigeria, Norway, Libya, Malaysia, the Philippines and Australia, but imports from each country don't exceed 1,000 barrels per month.